Discussion in 'Gaming & Office Furniture' started by MrDuul, May 16, 2017. 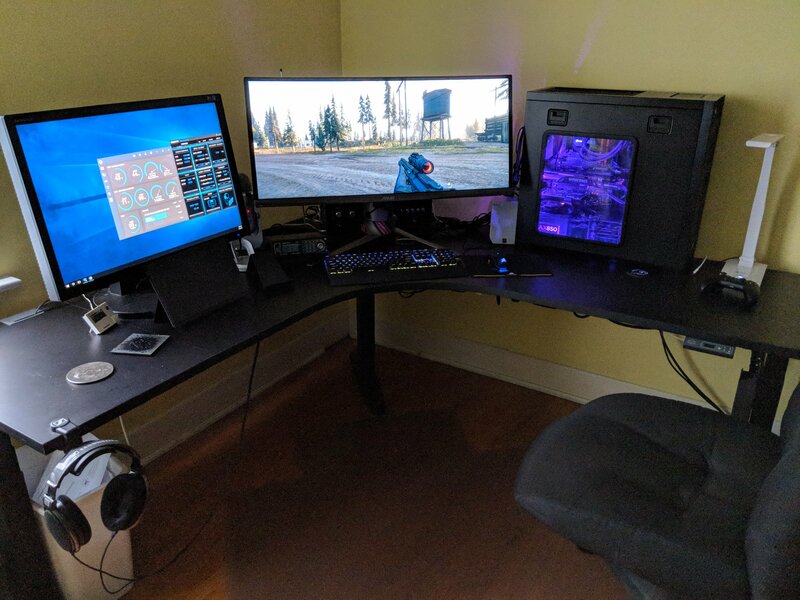 Want the most comfortable position, any suggestions on electric desks with height adjustment? I'm using one of their chairs right now, and the chair is good. Not great, but very good bang/buck. Funny, I was just considering that desk. I like that one of the designs has a little bit of desk space jutting out. I think it's more conformable to be able to sometimes put the mouse at the edge of the desk. one of the big things, in my opinion is having desks that go low enough. Either that or having a keyboard tray. I don't own a electric height adjustment desk but I did consider about it and researched a bit. I think the Ikea one should cross out from your list from the start, there's just too much bad reviews about it. 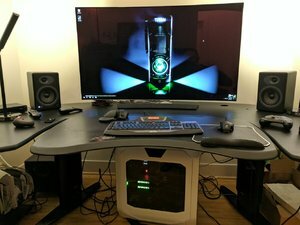 No one in this thread mentioned an ikea desk. I am on my second ikea desk and I think they have both been good. I am surprised there are bad reviews. But, regardless, the one year return policy that ikea has is a huge plus so I wouldn't worry too much about bad reviews. This is all assuming you don't get hit with a very large shipping cost to ship it back. I love my steelcase Ology. I got an L shaped desk personally but they come in many different configurations. The thing is built like a brick shithouse, goes up and down without straining even when fully loaded with all the stuff on my desk. Also, it goes literally as high or as low as you want. I got mine with the digital preset control, so I programmed in preset heights. It always returns to the exact height I have preset, I highly recommend that option. There also a number of addon cable management things, including the little thing on the right side (check the attached photo) that allows you to run your power, network cables etc. cleanly down the side. I also bought a little basket that holds my USB hub, loose power supplies and excess cables. 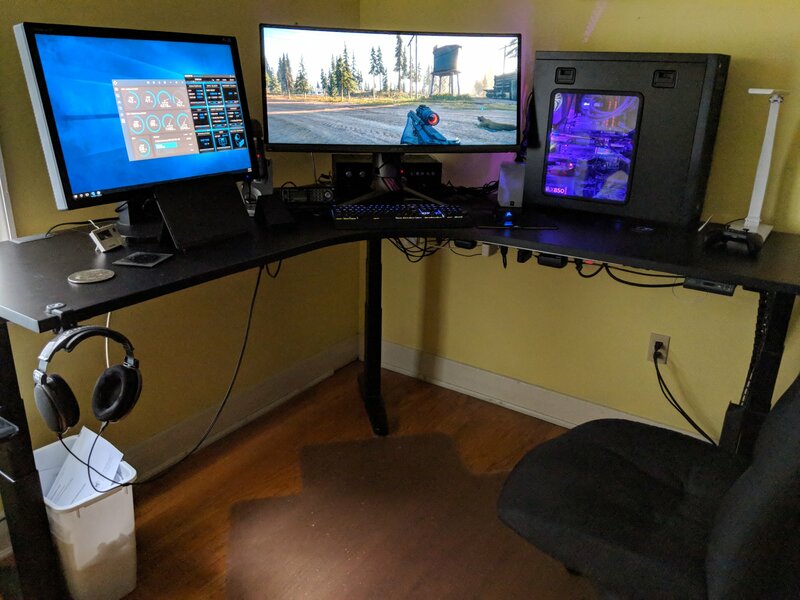 I was able to zip tie a Trip-Lite power bar to power everything on the desk. carrierPigeon and tungt88 like this. Very nice setup; is that a Sennheiser HD 6xx I see on the left? Actually those are Sennheiser HD 650s. I've had them for quite a few years. I love them. drklu and tungt88 like this. I really like when we have threads that go on for several years. It often results in a very comprehensive conversation. 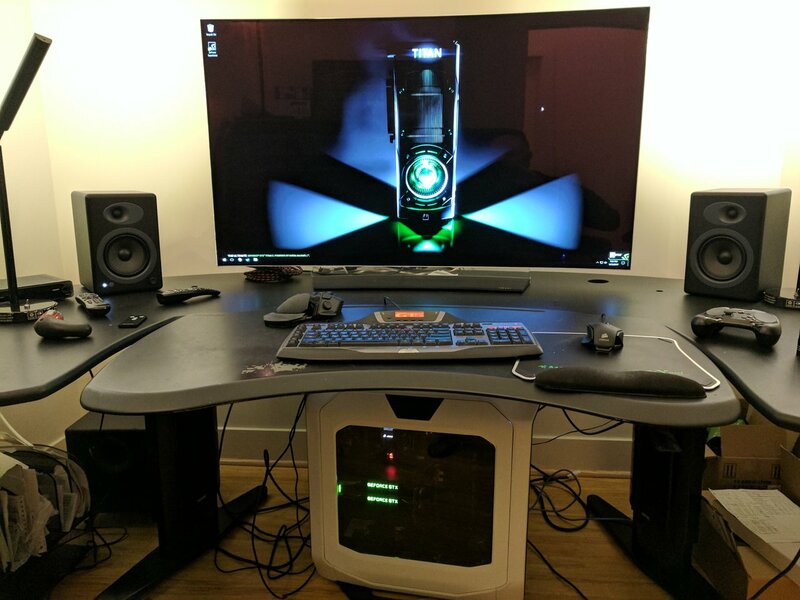 What are the 2 items below the monitor? Sansui integrated amplifier to drive some Yamaha satellite speakers tucked behind the monitor. I used to have some nice PSB bookshelves but no room with the ultra wide monitor. As I said, the mechanism on this desk has no trouble lifting everything. Also even in the standing position the desk is extremely stable. Also, I have had it for 2 years with no issues. I would recommend looking into a "Fully Jarvis", they make a stand up desk that can be either powered or manual crank, comes in multiple sizes and configurations, and is 'reasonably' inexpensive for what you get. It has a 300+lb weight rating, 4 memory positions and various color options. I generally like this site for reviews of standing desks. I like mine which I got from Biomorph. It is probably a bit expensive compared to some other sit/stand desks today, but came with a lot of options. Most of these standing desks are almost the same top and legs. I ended up with an L shape UpLift Eco model because of a coupon I had, but many other brands have almost the same legs, capacity, tops, etc..